Mission Statement: Restore, Preserve, and Enhance the vision of every member of your family using state-of-the-art technology with compassionate and personalized care. Edmonds, Husz and Pemberton Eye Care is a team of friendly and dedicated professionals and is committed to providing expert care in all areas of service; including, comprehensive examinations, emergency/acute care, and the diagnosing and treating a multitude of ocular diseases. Our office has an extensive background in successfully fitting specialty contact lenses for patients struggling with irregular corneal topographies, keratoconus, corneal transplants, post refractive surgery (LASIK, PRK etc), and corneal scars. We fit a variety of lenses including: bifocal, toric (astigmatism), and multifocal designs in hard and soft materials. The optical department offers an assortment of customizable options for glasses in bifocal, progressive, and single vision, created using the latest technology available. 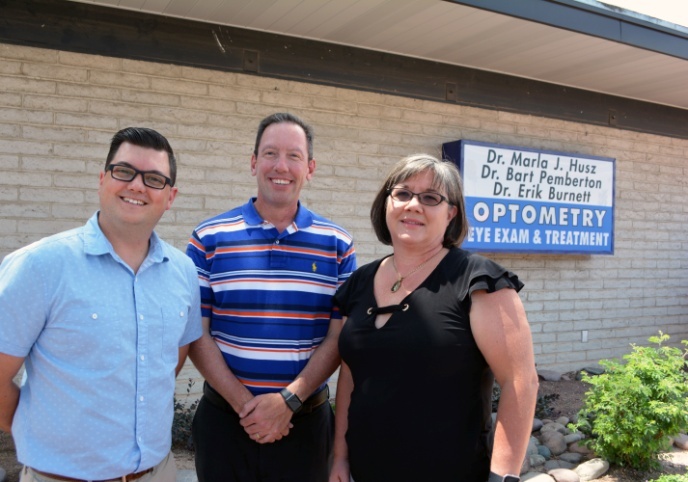 We look forward to getting to know you and your family and taking care of your eyes and vision needs.